Peter is a brave individual and was generous to share his father’s discovery from back in the 1950s, who allegedly killed and preserved a genuine Bigfoot creature shot dead back in September 23, 1953. 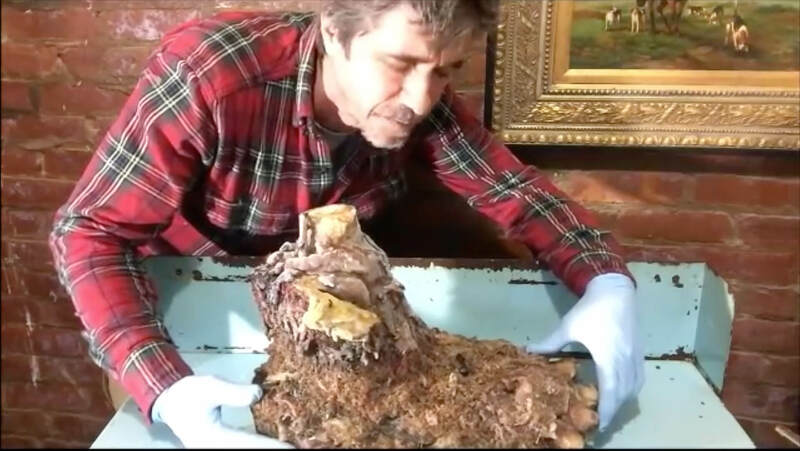 He has shared videos of not only a real Bigfoot foot but also a paw and the contents of the beasts stomach including a unrefined diamond verified by geologists from the MIT. Peter has disclosed numerous scientific facts utilizing his first hand knowledge of these beasts anatomy through dissection and analysis.